People around the U.S. experienced some internet downtime on Monday. The outage was brief and service has been restored. The culprit was a configuration issue from Level 3, a telecommunications and internet service provider owned by CenturyLink. In a statement to CNN Tech, CenturyLink said a "configuration error" disrupted service and technicians restored service in 90 minutes. CenturyLink (CTL) declined to provide further details. Though Level 3 was responsible for the issue, it affected other internet providers like Comcast. That's because Level 3's infrastructure delivers content for other internet services. 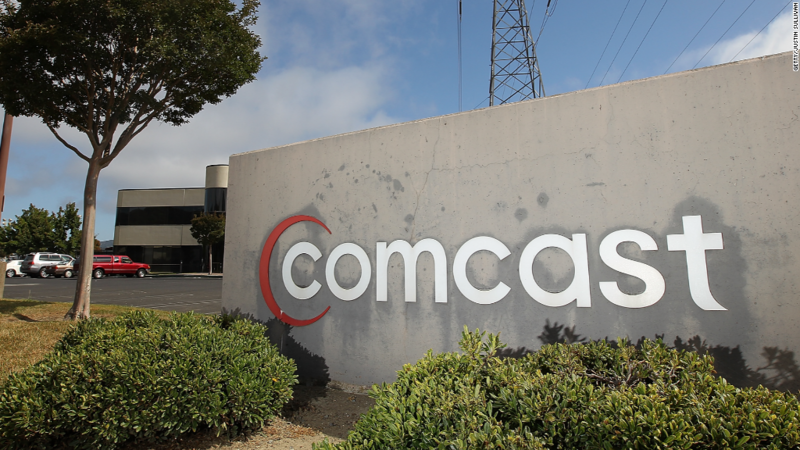 Comcast (CCV) said the service disruption to its Xfinity internet service has been resolved. 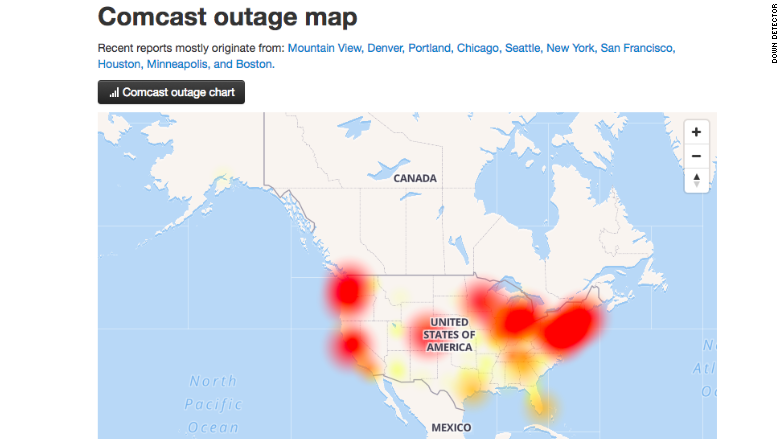 According to reports from Down Detector, a website that monitors internet outages, Comcast and Level 3 connectivity was impacted nationwide beginning around 10 a.m. Pacific. Other internet service providers including Spectrum, Verizon, and AT&T showed a spike in connectivity issues, too, though they were not as widespread. (AT&T has agreed to acquire CNN's parent company Time Warner, and the deal is pending regulatory approval.) It's unclear if the spikes were related to the Level 3 outage. The website does not provide numbers of people affected. Following public complaints of widespread outages, rumors temporarily circulated online that the outage was a coordinated hack of some sort. But, as CenturyLink confirmed, it was a misconfiguration. CenturyLink completed its acquisition of Level 3 earlier this month.